It’s becoming a common sight around OPPD’s Elkhorn Service Center: A group of potential new hires, stretching and getting ready to showcase their skills in hopes of someday wearing OPPD orange. 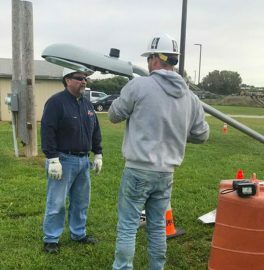 On a recent October morning, seven people turned out for a streetlight apprentice boot camp. The applicants are usually a little anxious, even nervous, which is natural. It’s like a tryout for a few open positions. 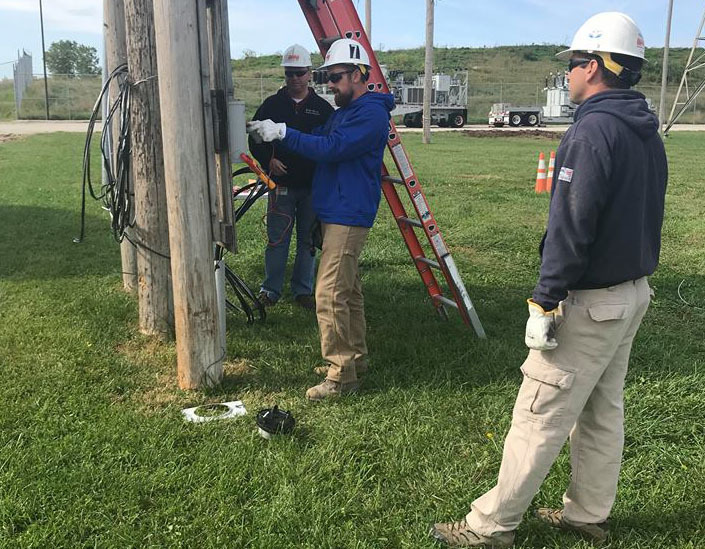 For OPPD, boot camps are becoming the preferred way for the utility to hire Transmission & Distribution personnel. Usually, OPPD supervisors like Tim Potts are there, too, evaluating the applicants. At this particular streetlight boot camp, Potts was pacing the area, talking to the “recruits” and sounding like a football coach rallying his team. Jerry Webster, field supervisor at the Elkhorn Center, said they decided to hold their first streetlight boot camp to evaluate talent and see firsthand how they would perform in the field. The applicants completed several rotations through different stations, with evaluations completed after each. Five candidates had interviews after the boot camp and two were hired as apprentices. 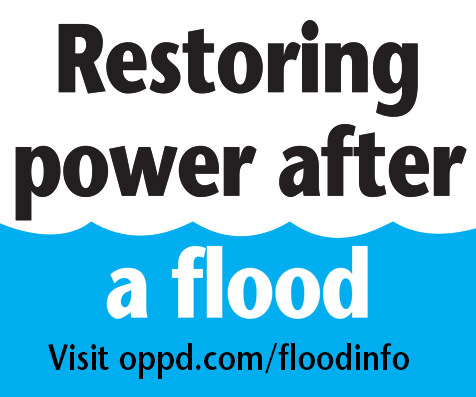 “The boot camp allows us to find talented and safe workers to join OPPD,” Webster said. 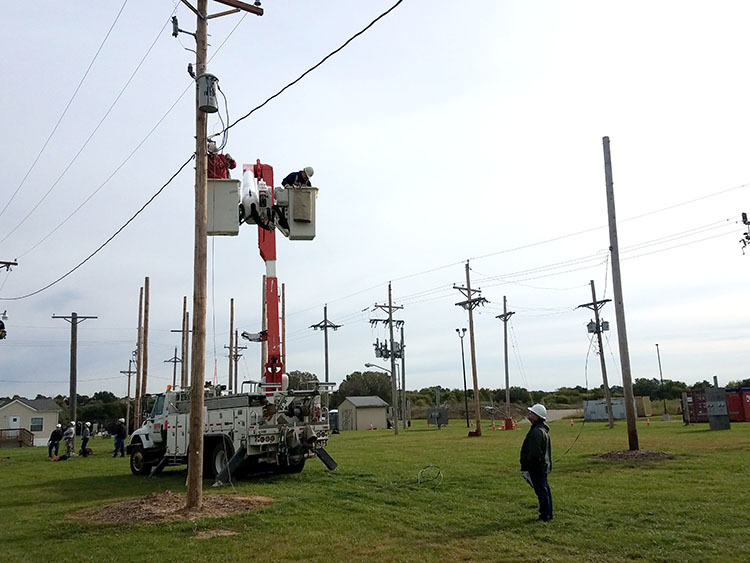 Another line technician boot camp was held Oct. 26 and 27 at the Elkhorn Service Center. Potts said they expect to hire 10 line techs from the 58 who applied for the openings. Potts said OPPD will keep moving forward with the boot camps.